Non-Invasive Radio Frequency. The EndyMedPro™ 3Deep® Fractional Skin Resurfacing handpiece was developed by experts in dermatology, RF technology and ergonomics and is specifically designed for fractional skin resurfacing and treatment of skin roughness, hyper-pigmentation, wrinkles and scars on the face and body. Results include brighter skin, reduction of epidermal hyper-pigmentation, improvement of skin texture, smoothing of wrinkles and treatment of scars. 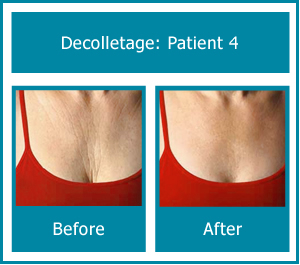 FSR is a minimally invasive procedure with minimal discomfort and minimal downtime. Non-Invasive Radio Frequency. ThermiSmooth™ is performed using a specially designed thermistor regulated hand piece, which is supplied with the ThermiRF™ system. ThermiSmooth™ delivers precise heating to the skin’s surface. Treatments are gentle and patients often say it feels like receiving a warm massage. 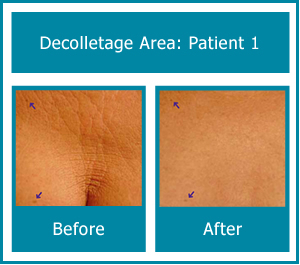 Clinical studies show that the collagen in skin will shrink when heated to a sustained temperatures in excess of 40°C, which stimulates fibroblasts to produce new collagen over a period of time. ThermiSmooth™ treatments deliver precise amounts of heat without risking overheating the tissues and causing patient discomfort.